Panasonic's Lumix G 42.5mm f1.7 is a short telephoto prime lens that goes up against the hugely popular Olympus 45mm f1.8. In my tests the Lumix was sharper in the corners at large apertures and usefully could focus much closer, allowing it to perform double-duty as a basic macro lens; it also offer optical stabilisation for owners of unstabilised Panasonic bodies. While it out-performed the Olympus in many of my tests though, the Olympus delivered slightly better rendering of out-of-focus areas and is typically sold at a higher discount. Both are great options though and highly recommended. Check prices on the Lumix G 42.5mm f1.7 at Amazon, B&H, Adorama, or Wex. Alternatively get yourself a copy of my In Camera book or treat me to a coffee! Thanks! 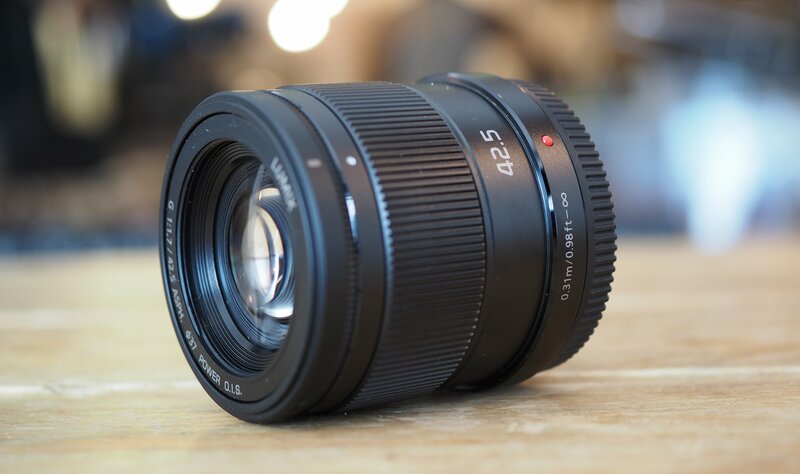 The Panasonic Lumix G 42.5mm f1.7 is a short telephoto lens for the Micro Four Thirds system. This means it’ll work on Panasonic or Olympus mirrorless bodies, on which it’ll deliver an 85mm equivalent field of view, which with the bright f1.7 focal ratio makes it ideal for portraits or isolating details. 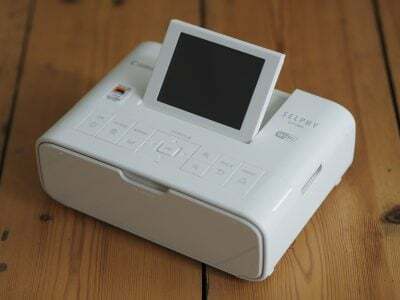 It also has a closest focusing distance of 31cm, allowing fairly respectable macro work, and optical stabilization to iron-out the wobbles on bodies which don’t have it built-in. Announced in February 2015, the Lumix G 42.5mm f1.7 joins a number of existing lenses for the Micro Four Thirds format with a similar focal length. 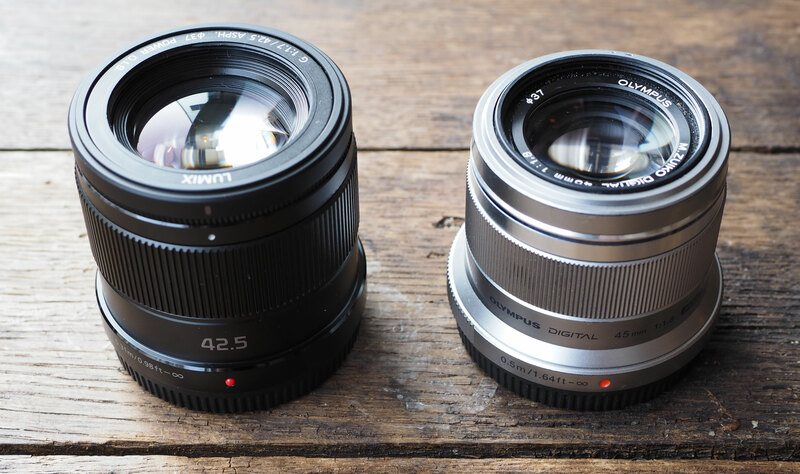 At the high-end, there’s the Leica 42.5mm f1.2 Nocticron and the even brighter Voigtlander 42.5mm f0.95, both of which will deliver a shallower depth of field, albeit at a higher price; especially so for the Nocticron. If you prefer close-up work, there’s the Leica 45mm f2.8 macro, one of the first lenses in the Micro Four Thirds catalogue. But the model that’s closest of all is the hugely popular Olympus 45mm f1.8, a lens that due to its size, quality and price has become almost mandatory for any Micro Four Thirds owner. In my review I’ll pitch both lenses directly against each other, comparing their build, focusing, sharpness, contrast, bokeh, diffraction starbursts and much more. Will the new Lumix take the crown for mid-range short telephoto performance from the Olympus? Read on to find out! The Lumix G 42.5mm f1.7 is a very compact lens, measuring 50mm in length and 55mm at its maximum diameter by the lens mount, before tapering a little for the rest of the barrel. It’s light too at 130g, making it an ideal match for any body in the Micro Four Third catalogue, including the smallest models. It’s also available in black or silver finishes. It’s fair to say the Lumix G 42.5mm f1.7 shares more than a passing resemblance to the Olympus 45mm f1.8; indeed at first glance it’s hard to tell them apart. Both share a similar design that tapers beyond the initial lens mount and also have similar dimensions. Comparing the specifications you’ll discover the Olympus is a fraction shorter at 46mm in length, has a slightly narrower main barrel and weighs a little less at 116g, but with both side-by-side there’s really very little in it. I’ve pictured them both next to each other below. Both lenses share more than just similar physical dimensions. Their filter threads are both 37mm, and both also allow you to mount bayonet lens hoods by first twisting-off rings from the end of their respective barrels. Panasonic claims early bonus points though by supplying a hood with its lens as standard, whereas Olympus forces you to buy theirs as an optional accessory. That said, I successfully used both lenses without hoods.Both lenses also only sport a single control: a ribbed manual focusing ring, which operates a focus-by-wire system. The focusing ring on the Lumix is a little taller than the Olympus, and on my samples felt smoother to turn, but I should add the Olympus is my own lens which has seen a great deal of use.In terms of build quality, both are of a similar standard. They’re a step-up from budget kit zooms, but they’re far from pro options, and there’s no weather-sealing. Once again though I’ve used the Olympus lens for several years, not to mention similarly-constructed Lumix lenses, and have never experienced any issues in day-to-day use.If you shake the Lumix lens while it’s detached from a body, or when the body is powered-down, you’ll hear the faint rattle of its optical stabilization system; once mounted on a body and powered-up, the rattle goes away. Having built-in optical stabilization is a big differentiator with the Olympus lens, and I’ll discuss it in the next section. I’ll complete this section with some comments on autofocus. I found the Lumix G 42.5mm, with its 240fps drive system, focused swiftly and quietly on both the Panasonic and Olympus bodies I tested it with (GX7 and EM1). Compared side-by-side I’d say the focusing with this lens was slightly faster and more confident on the GX7 than the EM1. It was also a little faster than the Olympus 45mm f1.8 when mounted on either body. The Lumix G 42.5mm f1.7 provides short telephoto coverage equivalent to 85mm on the 35mm / full-frame format. This is a classic focal length for portrait work, delivering a flattering, slightly compressed perspective, while allowing you to work fairly close to the subject. I also find it useful for capturing tighter views of buildings or landscapes, or getting close to details. I’ve pictured the coverage below alongside the Olympus 45mm, which despite providing a slightly longer 90mm equivalent focal length, captures essentially the same field of view. Both lenses also share a similar focal ratio: f1.7 on the Lumix, versus f1.8 on the Olympus. While this technically makes the Lumix fractionally brighter with a fractionally shallower depth-of-field, the more important difference is how each renders out-of-focus elements. Both employ seven-bladed aperture systems with rounded blades, but the only way to really evaluate them is with side-by-side comparisons of the same subject, here shot from a distance of about 50cm; note I moved the camera back a little for the Olympus to compensate for its slightly longer focal length. Below is the full composition and below it are crops taken from versions between the maximum aperture and closed to f4. In terms of the bokeh – or the quality of the out-of-focus rendering – both lenses deliver nice, non-distracting blurred areas, while avoiding onion-ringing artefacts. As both are closed down, they reveal their seven-bladed aperture construction, although the shape of point sources remain reasonably rounded. When wide open, this shape should disappear, as it has for the rounded edges on the Olympus, but curiously the Lumix lens is still rendering a subtle heptagon, indicating some impact from the aperture blades even at f1.7. 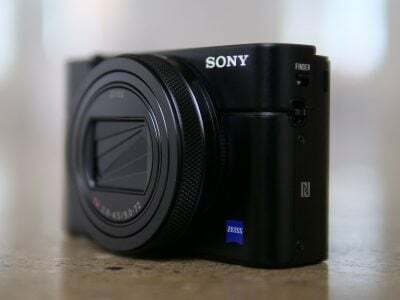 I’d also say the rendering on the Olympus is fractionally less busy and defined. Much of this is personal preference, but for me, I’d say the Olympus enjoys a minor edge here. But how does this translate into other real-life situations? Here are a bunch of samples taken with the Lumix 42.5mm at its maximum aperture. I have no complaints with the quality of rendering below. Sure it’s not as buttery or well-behaved as the Leica Nocticron, but it performs well for a lens of its price and class. At the other end of the scale, closing the lens aperture can also be used to deliver an artistic effect where diffraction can turn bright point sources of light into spiked shapes known as starbursts. The number of spikes corresponds to double the aperture blades, so both the Lumix and Olympus lenses share 14 spikes, but which delivers the better-looking result when stopped-down? As you can see above, the Olympus is better behaved than the Lumix when it comes to bright point sources of light. When both lenses are wide-open and pointed at bright points of light, the Lumix suffers from coloured artefacts which the Olympus avoids, and when stopped-down to the same extent, the Olympus also delivers more attractive starburst diffraction effects. Note the purple fringing you can see on the Lumix sample disappears from f2.8 onwards, and I should also mention the samples above were taken with an Olympus body. I’ve also experienced blue / purple flare when using the Lumix 7-14mm on Olympus bodies, so this could be a similar issue. I’ll retest the lens on a Lumix body to see if the issue repeats to the same extent. One of the most obvious optical differences between the Lumix 42.5mm and Olympus 45mm becomes apparent as soon as you start using them: their closest focusing distances are quite different, 31cm on the Lumix versus 50cm on the Olympus, delivering 35mm equivalent reproduction of 0.4x versus 0.22x. Yep, that’s almost double the reproduction on the Lumix 42.5mm, allowing it to perform surprisingly well for modest macro work. Here’s photos of a ruler taken at their respective closest focusing distances, and it’s clear how much closer the Lumix 42.5mm can get, reproducing 89mm across the frame compared to 148mm on the Olympus. Indeed I found myself exploiting this capability regularly when shooting with the Lumix lens, often saving me from taking a dedicated macro lens and making it much more flexible for me than the Olympus. Here’s some examples shot near to the closest focusing distance. The other obvious optical difference between the two lenses is the presence of optical stabilization in the Lumix. Olympus don’t build optical stabilization in their lenses because they build sensor-shift stabilization into their bodies, thereby reducing the wobbles on any lens you use. But that’s no consolation for owners of Panasonic bodies who, apart from those who have the Lumix GX7, need optically-stabilised lenses to counteract camera-shake. These two different approaches to stabilization can cause headaches in the Micro Four Thirds world. Owners of Olympus bodies don’t need optically stabilized lenses and may be concerned about the unnecessary extra element’s cost or potential impact on quality. Meanwhile owners of Panasonic bodies may avoid Olympus lenses as they’re not stabilized. To put the stabilization to the test, I tried the 42.5mm on an Olympus OMD EM1 and a Panasonic Lumix GX7 body. Note there’s no physical switch to enable or disable stabilization on the lens, which means it has to be done through the camera menus. The GX7 offers a Stabilisation Operation menu where you can turn it off if desired. Meanwhile the Olympus OMD EM1, which of course offers its own body-based stabilization, offers a Lens IS Priority menu where you can set On or Off. I’ll start with the Olympus OMD EM1. With both Lens IS Priority and the body-based IS set to OFF, I found I could handhold a fairly sharp result at 1/20 or faster. With Lens IS off and body IS on, I could handhold a similar result at 0.4 seconds, corresponding to three stops of compensation on the day. With body IS off and Lens IS on, I achieved the same result, although the view when composing wobbled more than when the body IS was enabled. Ultimately whether Lens IS was set to On or Off, I could hear something whirring within, and even when the body IS was disabled, I could hear it whirr during the capture, so it’s hard to know what was working and what wasn’t. Moving onto the Panasonic Lumix GX7 body, it’s easier to know when the lens stabilisation is on or off. With it set to Off (during which I also believe the body’s own stabilization is disabled), I needed a shutter speed of 1/80 or faster to avoid camera shake. With Stabilisation set to ON (I believe over-riding the body-based stabilization of the GX7), I could handhold a similar result at 1/10, corresponding to three stops of compensation, and my result at 1/5 wasn’t bad. But not as good as my slowest hand-holdable speed of 0.4 seconds on the OMD EM1 using its body-based stabilisation. For the record, I needed a shutter speed of at least 1/40 to handhold a steady result when using the Olympus 45mm f1.8 on a Panasonic body, so the optical stabilisation of the 42.5mm gives owners of Panasonic bodies greater latitude for shooting at slower shutters. I also tried the Olympus 45mm with the GX7’s own body-based stabilisation and found I could handhold a similar result at 1/20, so again the optical stabilisation of the Lumix 42.5mm is still the most effective solution for Panasonic bodies. But as I demonstrated above, the body-based stabilisation of the OMD EM1 delivered a superior result with either lens, and the new EM5 II is even better. 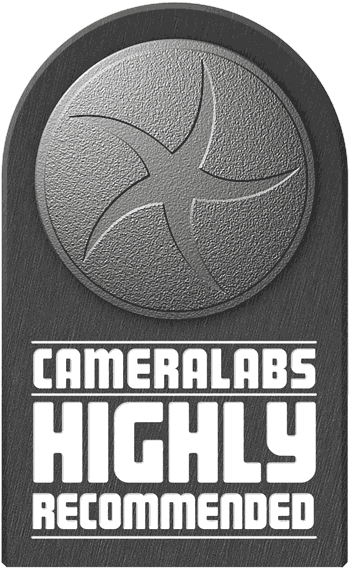 Now it’s time to check out how the lens performs in terms of sharpness across the frame! Check out my Lumix 42.5mm f1.7 sharpness results, or skip to my Lunlix 42.5mm f1.7 sample images or straight to my verdict!